Okay if you are the geeky, grammar type like me and thought there was a typo in my title because I left out the S at the end of Saving, I have to tell you it really is officially Daylight Saving Time. I know. I know. It just sounds wrong. But, in my humble opinion, there is nothing wrong with DST. I just love it. It allows me a whole extra hour of daylight to work in the garden after work, so I’m all in for DST. The Polar Vortex has left us winter weary around here. We have had a record-setting 50-something inches of snow. And, even though it is still lingering, it is soon to be history! Warmer temps are coming and I am in full spring-fever mode. First up this spring will be to assess the damage left by our winter companion, Mr. Polar Vortex. My quick tour of the garden last week encouraged me as I saw a great deal of green at the base of the roses I could see. (Some were still snow covered.) So, I think they are going to have a slow but sure start. Roses are not the “Prima Donnas” some think them to be. For early April planting, I buy bare root roses from online vendors. (Click here for a list of rose companies.) When they arrive they are “bare roots” wrapped in wet newspaper and plastic. Very humble beginnings for a plant that will be so lovely later! This means that a rose is created by being grafted onto strong, hardy root stock, creating a “bud union.” Plant the bud union (knobby part just above the roots) 3” below the soil line to protect it from harsh winters. 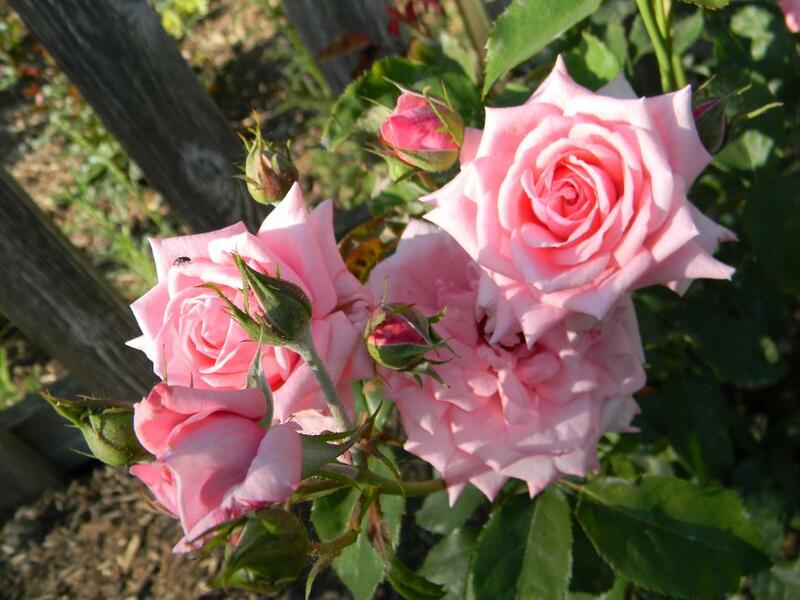 Own Root Roses: Roses that have not been grafted but were started from cuttings, so there is no bud union to protect. In the past I have always planted them as I would any other shrub (to the same depth as they are in the pot they were growing in), however, after such a harsh winter, I now plan to plant even the own root roses about 2″ below the soil line for some extra protection. Soil: We ask roses to bloom for us all summer, year after year, so it is best to give them a good start by planting them in good, rich soil. Our neck of the woods has horrible gray clay soil so we dig BIG holes–holes much deeper and wider than the root system to allow for soil amendments and deep enough to protect the bud union. To the soil removed, we add compost and a quality grade of top soil. 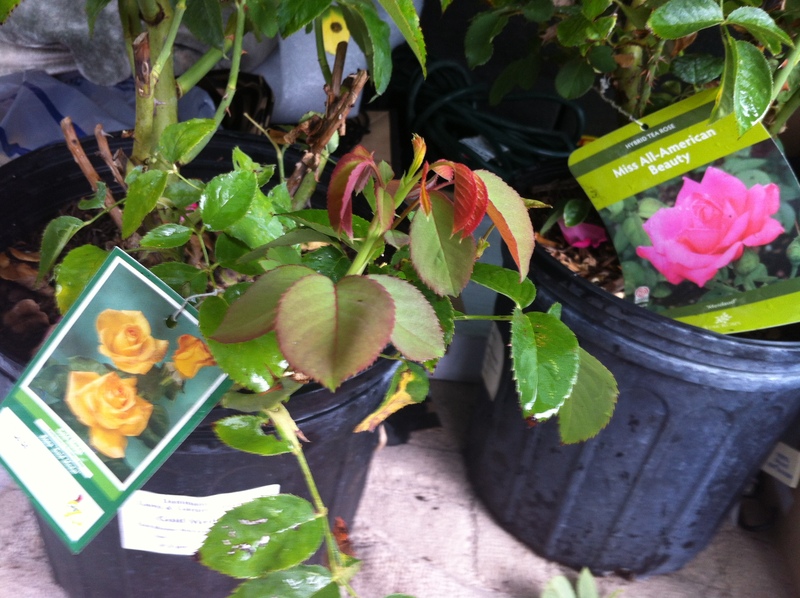 Your roses will appreciate your gifts of more nutrients and better drainage and will reward you handsomely! You will never regret giving your roses a good start. It is difficult to know when winter is really over and it is time to prune, so I let the forsythia tell me. When the forsythia is blooming, I start pruning. All you need are protective gloves and a sharp pair of pruners. I must have been very good because Santa brought me a pair of Bionic Gloves and Barnel Pruners from Wendy Tilley, owner of The Rose Gardener Garden Shop and Harlane Garden Labels. Maybe Santa listened to our Rose Chat Podcast with Wendy. You can listen to Wendy too. Just click here. Hybrid Teas: For hybrid teas, I shape, cut out any dead wood and remove the canes that cross the middle to create more air circulation in the center of the plant which can help control fungal disease. These roses I will cut back to about 10 – 12″ high to give them a strong start. 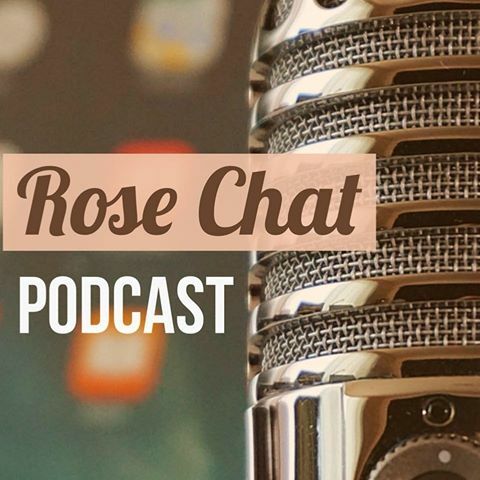 If you are going to exhibit roses in a rose show, there are some other tips you will need and the American Rose Society website is filled to the brim with excellent information. Old Garden Roses: To me bigger is better as far as old garden roses are concerned so I do very little pruning. For one-time blooming roses, do not prune until after they bloom! And, when you prune, just thin out old wood, remove any dead wood and spindly canes. David Austin English Roses: Very little pruning is required as they don’t appreciate a lot of cutting, just remove dead wood and give them a light shaping. Except in the case of some of the ones that tend to get very tall, like Graham Thomas, I prune those down farther to keep them within bounds. 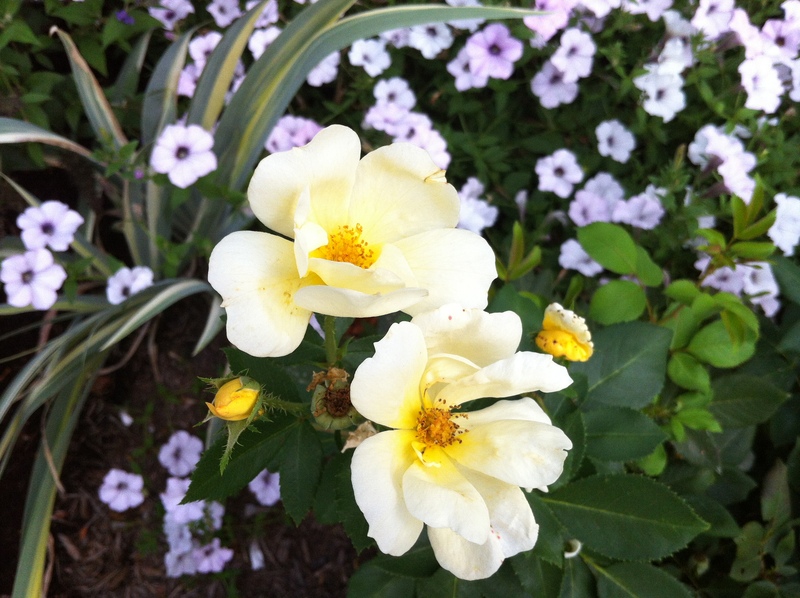 Shrub/Landscape Roses: These are so easy… Just shape to fit your space. I have several Knockout and Drift roses and I usually trim them back about 1/2 their size in the spring, but it is not required. I often give them another hard pruning in mid summer to refresh them into another spring-like bloom cycle in early fall. After I prune my roses I apply fertilizer. Most any fertilizer will do—but do read labels carefully–too much of a good thing can be harmful! I use a combination of Moo Poo Tea and Mills Magic Mix on my roses. Once the fertilizer has been applied you will want to give your roses a deep watering to get those nutrients down to where they can do some good. A good rule of thumb is to water at the base of the plant especially if you are watering in the evening, as wet rose leaves are more susceptible to fungal diseases (e.g. Black Spot & Powdery Mildew). Although, if I am watering in the morning I give them a good all-over shower. 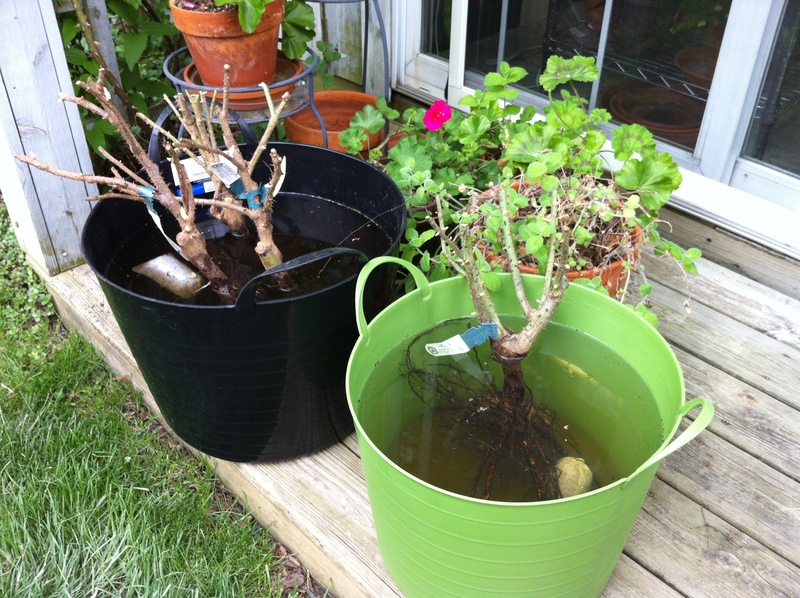 This is great way to remove any aphids that have shown up for the tasty and tender buds! I think roses appreciate a refreshing shower just as we do, just don’t put them to bed wet. No idea when to start the garden chores here. We are still under quite a lot of snow and no end in sight. I was joking that our garden club plant sale in May could happen in the snow! Love this, friend! Great information for a newbie like me! I love more daylight too for gardening even with the little burp it causes internally. So glad to feel Spring in the air. Glad things are looking “Rosy” for you too. I’m loving the extra hour of daylight too even with the little burp to my internal clock. Glad to see you are feeling “Rosy” too. Happy gardening friend! Good post Theresa. Glad to hear you are planting your bud unions 3 inches below grade. That will save many roses this winter; and there’s no justification for leaving them above ground that I’ve ever found that makes horticultural sense. Thanks Jack! I don’t think I lost many –if any! But there are some that will need to be cut back nearly to the ground. Tough winter! So glad you stopped by. Is it beginning to thaw in your neck of the woods? Your garden is absolutely stellar! 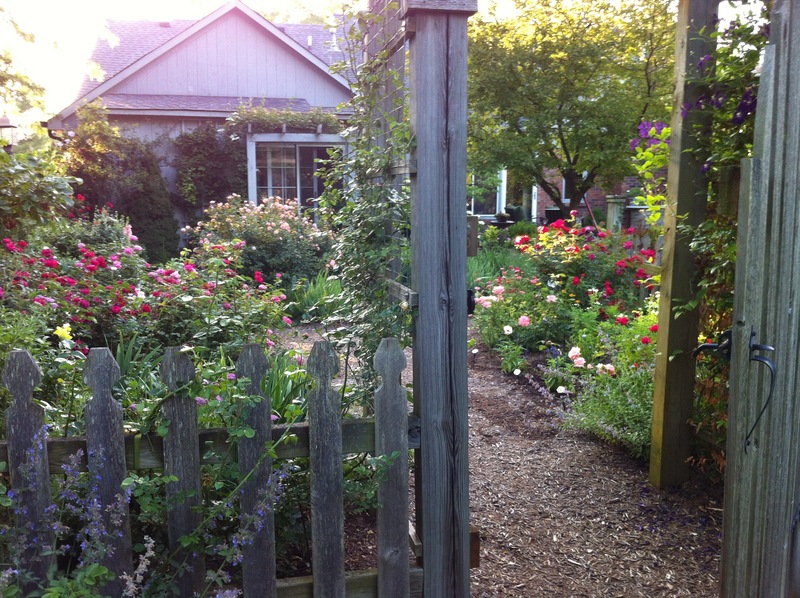 What a gorgeous photo of the gate looking into your beautiful oasis of blooms. Thanks for sharing all this information, and I will never call it manure tea again… not now that you’ve shared a WAY better name! Moo Poo Tea!